What disappointed you about Open and Shut? There is missing content in the recording. About 12 minutes into Chapter 4, the story jumps ahead by a couple of weeks, going straight from a pre-trial deposition to the trial itself. The story starts off a bit slow but picks up after the first chapter or so. Then it's fairly entertaining! There are no narrative pauses between paragraphs, scene changes, etc. Sometimes there is a scene change and the narrator continues as if it were the same sentence. This can be a bit confusing. Exploding from the pages of Horror, Humor, and Heroes, Volume One - it’s the full length adventures of the one and only Mechani-Cal! So grab your battlesuit and prepare to get a little nasty. 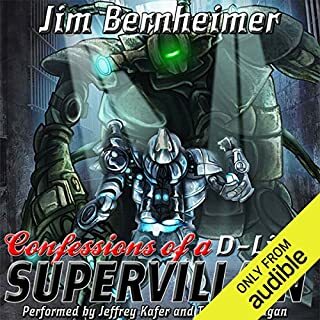 What did you love best about Confessions of a D-List Supervillain? 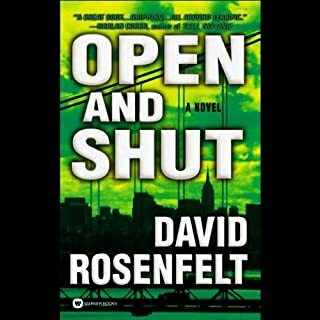 What other book might you compare Confessions of a D-List Supervillain to and why? Reminded me a bit of books by A Lee Martinez, though I'd have to say Martinez is likely a better writer. Which character – as performed by Jeffrey Kafer and Talmadge Ragan – was your favorite? Jeffrey Kafer is a decent narrator. Talmadge Ragan - not so much. Talmadge Ragan narrates the last portion of the book. She is NOT a great narrator - her enunciation is terrible she sounds like she is slurring her words or speaking with marbles in her mouth. What didn’t you like about James Marsters’s performance? I'm not sure I liked Marster's rather deadpan interpretation of the main character. However, what made the book tough to listen to was the sound editing. You can hear every lip-smack, swallow, inhalation / exhalation from the voice actor. 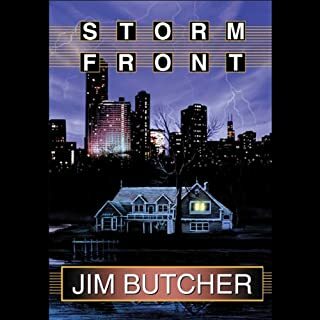 This is typically edited out and it's the first out of 50+ audiobooks I've listened to where the performer's breathing and swallowing is so readily apparent. Full disclosure - this review is on the audio engineering only. Listen to the preview before purchasing! I returned the book and never finished it. The good people of Moose County are in a fever of excitement. Not only is the gala groundbreaking for the new Pickax bookstore about to take place, but the town of Brrr is preparing to celebrate its bicentennial, and columnist James Qwilleran has been roped in to help with the festivities. A better book / plot. The prior "The Cat Who" books had strong plot, an engaging mystery, and a different writing style. This book appears to be ghost written. 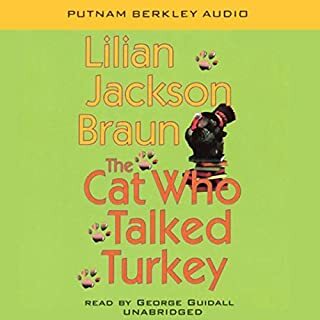 Has The Cat Who Talked Turkey turned you off from other books in this genre? It's turned me off from the subsequent books in this series. This one is inconsistent with character development in the prior books and the writing style is stilted and inconsistent with prior books as well. Was this ghost written? The plot (or lack thereof) meanders without purpose and there is almost no "mystery" to speak of. What aspect of George Guidall’s performance would you have changed? The narrator appears only to have a few voices / affections. The high-pitched, very fast narration used for the support cast of characters is always the same, making characters indistinguishable from each other. Whenever he voices a character other than Qwill, he speaks very fast as if on fast-forward. Do not be mistaken - "The Cat Who" series is no longer a mystery series.